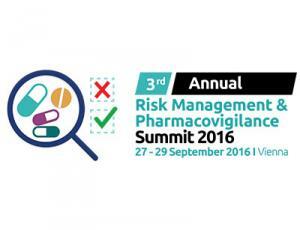 After two successful Annuals, here comes the 3rd Annual Risk Management and Pharmacovigilance Summit, where you will meet and learn from the best recognized professionals within drug safety. This year, we have on board QPPVs, VPs and Directors from companies such as Novartis, Takeda, Novo Nordisk, Gilead Sciences, Actavis, MSD, Sanofi Pasteur, UCB and many more. You will get the best advices on how to implement new GVP updates into the real world settings, how to select fit-for-purpose response strategies to growing Health Authority requests and generally, how to improve the pharmacovigilance and risk management procedures in your company. Besides, you will hear many interesting and immersive case studies on topics such as Post-Authorization Safety Studies, RMPs, Patient Support Programs, signal detection, benefit-risk assessment, globalization of pharmacovigilance, Medical Literature Monitoring, inspections preparations, digital listening and many more. You will also find many networking and discussing opportunities there, where you will be able to exchange practical insights with other participants and pharmacovigilance/risk management experts. Save the date from 27th to 29th September and you won’t miss any news from the pharmacovigilance world in 2016. How to maintain a PV system globally? Post-Authorisation Safety Studies - a compliance nightmare?